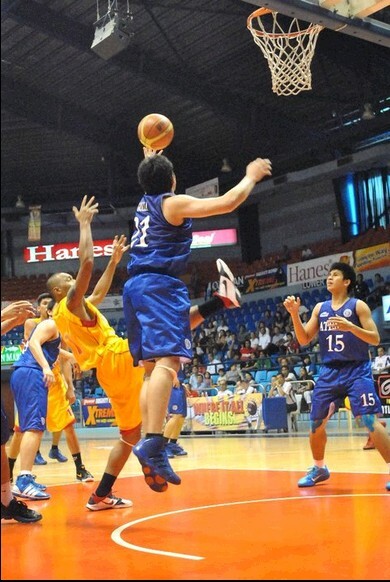 Here's Ronald Pascual attacking Nico Salva while wearing the new Adidas Adipure. With Greg Slaughter playing with little minutes because of his training commitment with the Smart Gilas Pilipinas, the San Sebastian Stags eked out a win against the Blue Eagles, 73-72. Slaughter only had 6 points. Baste just gave the Blue Eagles their first loss in the tournament. Ateneo now have 5 wins and 1 loss while San Sebastian now have 3 wins and 1 loss. 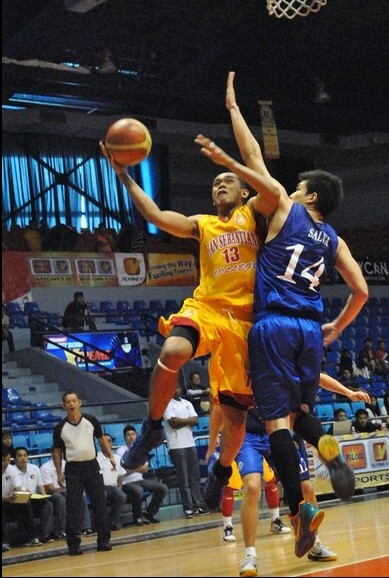 Ronald Pascual burned the Eagles with 17 points and 14 rebounds. He had a double-double game. The defense of San Sebastian against Kiefer was air tight. They limited the phenom to only 34 percent field goal shooting. Calvin Abueva, the beast of Baste, kept beasting in the shaded lane. He took advantage of Slaughter's limited minutes. Abueva had 22 points. The other big man of Baste, Ian Sangalang had 17 points. The whole San Sebastian Community jumped when the last buzzer sounded. This game was close all throughout. San Sebastian made a great effort in beating the over powering Blue Eagles. The Stags move up to the second place in Group A behind Ateneo. Baste proves that they are still a contender to win this year's FilOil title.